Zhanna Nemtsova, the eldest daughter of opposition politician Boris Nemtsov, who was assassinated in central Moscow in February, has left Russia. Nemtsova has said she fled the country after receiving threats amid what her lawyer describes as a “climate of terror” for the opposition in Russia. Political scientist Alexei Zudin has dismissed her claims as unfounded. 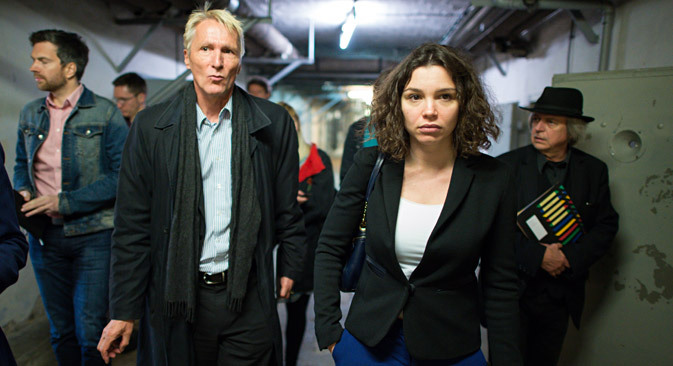 The eldest daughter of opposition politician and Kremlin critic Boris Nemtsov, who was assassinated meters from Red Square in February, has left Russia, according to the family’s lawyer Vadim Prokhorov. Prokhorov confirmed to RBTH that Zhanna Nemtsova has left the country and is now in Europe. In an interview with British newspaper The Times, Nemtsova said that she had received threats. "Do not get involved in politics if you want to live normally! Not only in Russia, but in general! Your daddy has done enough for us, 139 million people, to hate you," reads one of the messages sent to Nemtsova through social networks, reported The Times. Nemtsova told the newspaper that "the situation [in Russia] is deteriorating very quickly" after the murder of her father. She pointed to the case of a friend of her father, opposition activist and journalist Vladimir Kara-Murza Jr., who was taken to hospital in a serious condition after suffering severe renal failure. According to Nemtsova, Kara-Murza, who has now emerged from a coma, may have been poisoned. Earlier, the media reported that Western toxicologist Pascal Kintz had at least partially confirmed the diagnosis of the Russian authorities, saying the cause of the deteriorating health of the journalist was the use of anti-allergic medications combined with other drugs. Explaining the reasons for Nemtsova's decision to RBTH, Prokhorov also said that an "extremely tense situation” was developing around his client. In addition to the case of Kara-Murza, he pointed out that Chechen strongman Ramzan Kadyrov (the suspects arrested for the murder of Nemtsov are natives of Chechnya) "is not receiving a summons for questioning, but rather new orders and medals," while colleagues of the slain politician – Alexei Navalny and Mikhail Kasyanov – were bombarded with things “from eggs to cans." Opposition figurehead and anti-corruption activist Navalny was pelted with eggs in Novosibirsk on June 7 before his press conference by a group of people who were holding posters with the image of Navalny against the backdrop of the American flag. According to Prokhorov, all of this suggests that "what amounts to a policy of terror" is being unleashed in the country, a campaign for which he claims the Russian authorities bear responsibility. Nemtsova herself had earlier laid on the Kremlin the "political responsibility" for the murder of her father. In an article published by influential Russian business daily Vedomosti on June 9, Nemtsova elaborated on her accusations against the Russian authorities, placing them at fault for the "state campaign of mass brainwashing, setting one part of the population against the other," through which they are engaged in the "propaganda of hate." She also compared Russian journalists from state-owned media to the "instigators of ethnic massacres in Rwanda" and "Nazi propagandists." At the same time, according to Alexei Zudin, a political scientist and member of the Expert Council of the Institute of Socio-Economic and Political Studies, such allegations can hardly be treated seriously. According to the expert, Nemtsova’s claims represent a "stereotypical assessment given by the representatives of the non-systemic opposition." Zudin noted that an examination of the rhetoric being propagated by the opposition on social networks proves that it is its adherents that are creating the proverbial "atmosphere of hatred." The analyst denies any significant growth in aggression and hatred among supporters of the Russian authorities, who constitute the majority of the population, referring to sociological studies carried out in recent years, which, according to him, provide an eloquent testimony to this. Zudin links Nemtsova’s departure to two possible factors: "She could not cope with the emotions that hit her after the murder of her father <...> or decided to change jobs," he said.